this is a bookstore / Bookbug’s mission is to be a strong supporter of, and meaningful participant in, creative and intellectual community. We take seriously our responsibility to give back to schools and organizations, and especially those who have chosen Bookbug / this is a bookstore as a primary, local independent source of books. Because of the volume of requests received and our desire to make the most informed, meaningful donations possible, we have developed the following community giving programs designed to carry out our mission. Please contact anne@bookbugkalamazoo.com to inquire about community giving participation. Round Up for Reading exists to expand the home libraries of youth in Kalamazoo County who are part of historically marginalized communities and / or otherwise have insufficient access to necessary resources. Every month we partner with a youth-serving community organization to put beloved, relevant books into the hands of young people who need them. For the duration of that month, this is a bookstore / Bookbug invites community members to round up their in-store purchases to the dollar amount of their choice as contribution to Round Up. At month’s end we take those funds, select great titles, and supply books to be distributed amongst the youth recipients. If you are part of an organization that represents students who meet the stated parameters and can offer a responsible communication point person within your organization who will commit to facilitation of Round Up delivery, please contact anne@bookbugkalamazoo.com. If you are part of a business or organization that would like help us put books in the hands and homes of youth through sponsoring Round Up, please contact anne@bookbugkalamazoo.com. Welcome your community to shop our store on a specific date and we will give a portion of the proceeds to your cause. 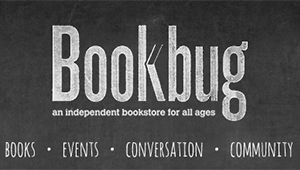 For more information or to schedule a book fair, contact anne@bookbugkalamazoo.com. Gift Cards are available for purchase at a discounted rate of 5-15% off for individuals hoping to feature them at non-profit fundraising events or for school/organization bulk purchase related to SCRIPT fundraising initiatives. The discount rate is offered at a sliding scale, based on total value / purchase volume of cards. 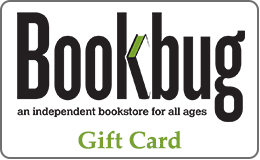 Please contact joanna@bookbugkalamazoo.com with your value/volume needs for a discounted quote on gift cards.